What are the benefits of culinary argan oil? 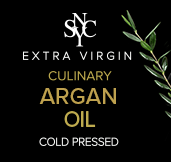 Why does Culinary Argan oil costs more than olive oil? The whole process is much more time consuming than for any other vegetable oil. The collection of argan fruits is by hand, and not by a ‘tree-shaking machine’. The fruits are then dried to remove the outer ‘flesh’. Most tedious is the crushing of the argan fruit, by hand, every-nut-is-cracked-by-hand… Kernels are sorted, rigorous quality control, Artisanal roasted, continuous monitoring and assessing the process. Small batch production, cold pressed, highly filtered. The sustainable sourcing and the artisanal production is another benefit of argan oil, a very ‘green process’. To see the production process, where 30kg raw material results in 1 liter argan oil, click here. The argan tree, the tree of life as Berbers call it, is a very versatile tree, nothing goes to waste; the residue of the kernels is used to feed animals. I'm allergic to nuts. What about Culinary Argan oil? 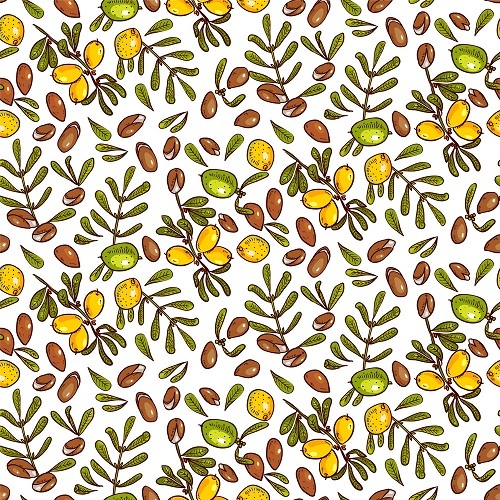 The Argan kernel is actually a stone fruit, just like peach, mango, cherry. So no worries about nut allergy. Why is there no first pressing quality? What's the difference between Culinary and Cosmetic Argan? Is there a difference between the culinary oils available in the US? Sure. The difference is in taste, quality, certification and sustainability. Ours is always best quality (EVAO), USDA 100% organic certified, artisanal made with continuous control of temperature, height and time. Compare it to processed beer versus handmade beer, with a master brewer. Our experts use all sensory tools: they can hear, smell and see the kernels; they know perfection. Also, we source sustainable, and the argan fruits are wild harvested and sundried. It’s expertise with love. Could you use culinary argan on your hair and body? Absolutely, but only if you love smelling like nuts. Is it a cooking or a finishing oil? Can you backup the benefits? Does roasting has an effect on the quality? No, science has proven the quality stays excellent. Yes. It comes from a tree and zero additions during the process.Pure as pure can be. It is all about the balance between them. Our body needs food to extract omega 3; it can’t make omega without food. (linoleic is the fatty component); omega 6 is close to omega 3, and provides energy. The body can produce omega 9, important to reduce bad cholesterol. Of all vegetable oils in the world, Argan has the most Vitamin E and is very high in antioxidants, both great properties for a healthy lifestyle. Prickly pear oil, cold pressed, has slightly more vitamin E, but it’s hardly commercially available as culinary and at exponential higher prices. What about smoke point and flash point? Smoke point is the temperature where oil goes bad while heating: every vegetable oil has a maximum temperature; for Extra Virgin Argan Oil it is about 170 Celsius /338 Fahrenheit. This is comparable to the best quality of Extra Virgin Olive Oil, about 183 celcius. Flash point is the temp where oil combusts and for vegetable oils thats not a concern at all; those flashpoints are far over 440 Fahrenheit. -Think words like: gourmet/couture/connoisseur/gastronomic/epicure; so special. Like saying ‘tomato paste’ instead of ‘ketchup’. How do I know you are allowed to use the USDA seal? For Argan oil: a creative marketing term, so just nonsense really. There are 4 grades of Argan oil; Extra Virgin Argan Oil: EVAO(ours) is the best quality. Tested by lab, regulated by government.